A Liverpool army veteran was “literally eaten alive” by a crazed dog that hadn’t been fed or watered for two days. Defenceless Clifford Clarke, 79, was mauled to death in the back garden of his Clubmoor home by his neighbour’s starving pet in May last year. The dog’s owners, mum-of-one Della Woods and Hayley Sulley, both 30, were jailed for one year as a court was told how the PRESA CANARIO BREED, called Charlie, was left to swelter without shade on one of the hottest days of the year. The animal was so hungry in the hours before attacking Mr Clarke that it attempted to devour a plastic bowl, bird food and cigarette butts. A neighbour who saw the pet in her garden “snarling” and “foaming at the mouth” called Liverpool council’s dog wardens only to be told it would take four hours for them to attend. A neighbour heard Mr Clarke yell "get off me" before seeing the animal savage the former athlete and hospital worker. The dog was so agitated when police arrived that it tried to bite the end of a rifle used to kill it. And after being shot once, it got up and tried to attack again. Retired hospital porter Clifford Clarke, who had celebrated his 79th birthday the day before the tragedy on May 13, was savaged after airing his kitchen while cooking a pan of scouse. Liverpool Crown Court heard that the animal “amputated” his left arm and left his right arm “hanging by a thread”. Judge Mark Brown said Mr Clarke’s death was “entirely avoidable” and condemned Woods and Sulley for leaving Charlie unattended in their garden while they went to a barbecue. He said prosecutors could have attempted to charge the pair with manslaughter instead of an offence under the Dangerous Dogs Act and causing unnecessary suffering to animals. The judge told them: "I am satisfied this dreadful and forceful attack on Mr Clarke was entirely avoidable. "Mr Clarke was literally eaten alive by Charlie when large amounts of tissue were ingested by the dog and that is a very shocking, appalling and tragic event." He added: “Mr Clarke suffered a horrific death and you have taken away from his family the love and companionship he would have provided." The court was told that the dog had managed to escape through a wooden panel from the home the women shared in Richard Kelly Close. Eric Lamb, prosecuting, told how a neighbour saw Charlie and another of the defendants’ three dogs, Gypsy, in Mr Clarke’s garden at around 6.30pm and said he was “glad he had a hatchet with him to protect himself, such was the conduct of the dogs in the garden”. Later both dogs ran up to a conservatory on a house backing on to Mr Clarke’s property. Mr Lamb said Charlie was “foaming at the mouth” and was seen eating bird food and dirty water from a bowl containing cigarette butts. The owner of the house, Selina Hagan, called the RSPCA for a number for the council’s dog wardens but was told there was a four-hour wait. 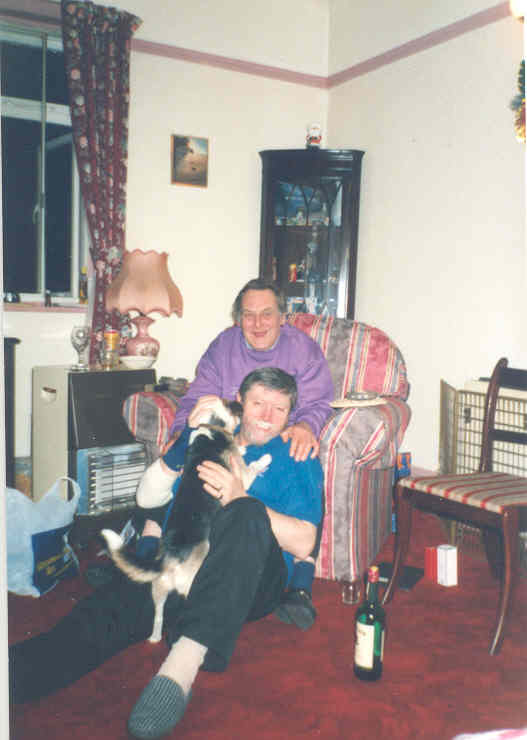 By 8.30pm, the “out of control” dog had attacked Mr Clarke – who had undergone two hip replacements and suffered arthritis and diabetes – and dragged him from the back entrance of his kitchen. neighbour, Michael Rankin, saw the horror unfold. 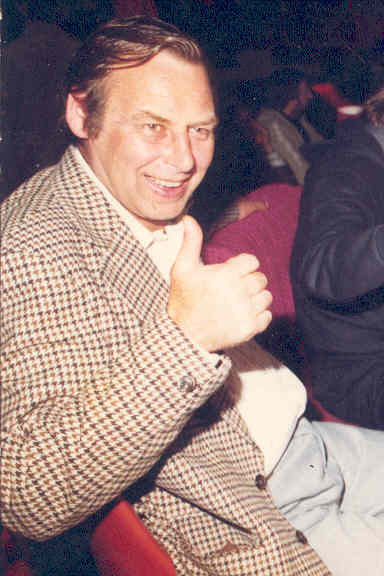 Mr Lamb said: “He saw Cliff Clarke lying down and the dog pulling his arm off. Mr Rankin ran back in and with great presence of mind he called the police and picked up a golf club. “He was ready to try and step in to rescue Mr Clarke. He reached the point at which he had straddled the fence but he was told by the emergency services not to cross the fence. “He said the dog was ‘just basically eating Cliff’s arm”. Another witness compared it to watching “a horror film”, while a police officer said it was the “worst thing I had ever seen”. Police attended and were unable to tame the animal. One officer suffered injuries after falling from a wheelie bin. After jumping 6ft and attempting to bite the end of a police marksman’s rifle, the dog was shot twice. The court heard how it still tried to attack even after being shot once. Mr Clarke was taken to hospital but never regained consciousness after sustaining horrific injuries. When Sulley, of Richard Kelly Close, and Woods, of Swallowhurst Crescent, in Norris Green, were arrested, one claimed they had fed the dog that afternoon. But the court heard how tests of the animal’s stomach and intestine showed it had not been fed for at least 45 hours. Simon Driver, defending Woods who has an eight-year-old son, said "truly tragic consequences" followed from his client's "negligence". He said: "A man who led a dignified life met a painful and undignified end. She will carry that burden through her life." Teresa Loftus, defending Sulley who has a seven-year-old daughter, also said her client was remorseful. Neither had previous convictions at the time of the tragedy. Judge Brown said: "You both understand the tragic consequences and wish bitterly you could turn the clock back so these events would not happen again." Both women were banned from owning dogs. Liverpool council said its thoughts were with Mr Clarke’s friends and family but denied its dog warden service had acted incorrectly. New laws have been brought in since the fatal attack on Clifford Clarke - with a maximum sentence of 14 years. But because the attack predated the change in the law, Della Woods and Hayley Sulley only faced a maximum jail term of two years. The new law brings the maximum sentence for allowing a lethal attack in line with the punishment for causing death by dangerous driving. Figures released recently show that the number of dangerous dogs seized by the police have risen 50% in just two years in some police forces around the country. Legislation has been toughened in the wake of a series of horrific dog attacks in which children and adults have been killed. The amendments to the Dangerous Dogs Act also mean dog owners can be prosecuted if an attack takes place inside their own home – unless the victim is a trespasser – or on any other private property. Following the sentencing Detective Chief Inspector Julie Milburn, said: "These two women left the offending dog, which was a five-stone presa canario, with two other dogs in the back garden of their home on an exceptionally hot day, with no food or water. "The offending dog, along with another dog which was not involved in the attack on Mr Clarke, managed to escape from the home of Della Woods and Hayley Sulley and it subsequently attacked Mr Clarke. Clifford Clarke’s brother told how there were “no winners” as Hayley Sulley and Della Woods were sent to prison. Ken Clarke, 77, backed calls for changes in the law to protect the public from violent dogs and said all dogs should be muzzled in public. Mr Clarke, who sat in the public gallery as the facts of the case were outlined, said his family was “devastated” by Clifford’s death. Speaking outside court, he said: “There are no winners. “I will never see my brother again, these two woman have gone to jail and they have never been jailed before. I have just been talking to the girls’ parents because they’re in bits, because it is not their fault. And we’ve got two kids without their mothers all because of a dog. Mr Clarke called on the Government to do more than tackle dangerous dogs. Too bad England's gun laws are so restrictive, a neighbor could have saved him.